The Replace Your Job scam was once known as Internet Careers Online and Home Income Careers. This scam was brought to you by none other than Kelly Scott who is responsible for creating most of these link posting scams that you have come across online. The problem is Kelly Scott doesn’t realize that all of his scams follow the same exact format and design of other known scams and Replace Your Job is just another one of those scams. So, without wasting any more time, let me jump right into my honest Replace Your Job review. Replace Your Job is a website that claims you can up to $379 every single day just by posting various links for about an hour or so. This program is created by a known scam artist known as Kelly Scott and he has created nearly identical programs to this one. While it seems too good to be true, please don’t fall for this scam. 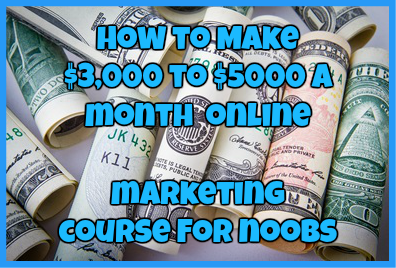 This program is targeted towards people who are looking for a way to make money online but also those who wish to make money online in as fast a way as possible. How Do I Know Replace Your Job Is A Scam? Replace Your Job is nearly identical to other known scam sites Kelly Scott is responsible for creating such as Work At Home University (link) and Online Home Careers. The facts that you will find on my reviews alone for those programs should set a small alarm off in your home. While I keep referring to Kelly Scott as the creator of many of these programs, the truth is I really don’t know who this person really is for one simple reason: many of these scammers tend to change their identities with every new program that pops up. There are many different aliases for all of these identical looking websites such as Michelle Withrow, Bobbie Robinson and Jessica Marshall. How do I know this is the same person? Well, most of these websites tend to use the same “photo” of Kelly Scott which is not really a photo of her. If you look at my other reviews this photo is nothing but a stock image that was used instead. If you are told that you can earn thousands of dollars in a short amount of time. If you are told that there is no experience needed to make this program work. If you are pressured to buy a product right away. If the company itself hits you with upsells because that is the only way they can yank even more money from you. If you carefully look at the Replace Your Job opportunity, you can tell right away that it fits every single one of these warnings. 4. They Make It Seem WAY TOO EASY! The one thing that I absolutely hate about this program is the fact that they try to make it seem you can earn thousands of dollars easy. The truth of the matter is that when you are talking about any kind of online business, you need to look at it as running a business and understand that it will take time to grow that business. Replace Your Job tries to tell you how easy it is to use their program by saying all that you have to do is place links all over the place and just sit back while your bank account grows. Honestly, if it was that easy, nobody would have a problem with making money online because everybody would be successful. The advertised price for this program is $47, although there are many upsells that you have to navigate through before you will reach this price. At first you are asked to spend up to $200 for this piece of crap. In my honest opinion, I think that Replace Your Job is flat out deceiving you, right from the moment that you land upon their website. With this program, you will not be able to earn as much money as they are promising. The truth is that you will not even make close to that. 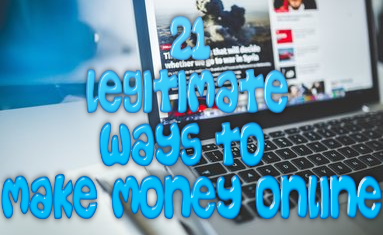 If you are truly looking for a way to make money online and to learn how to do it in a step-by-step fashion, there are other more legitimate programs out there. This one is just not worth it. Have you fallen for the Replace Your Job Scam? If so, let us know about your experience in the comments section below! ← Bonus Busters: How Much Of A “Bonus” Will You Earn? My Paying Ads Review: Will Purchasing Ads Truly Pay You?